As the business is growing, the database needs to grow at the same time and SQL Server is the right solution. 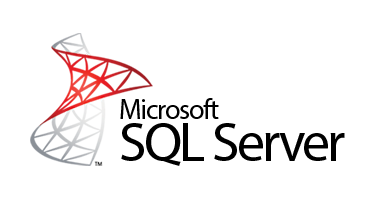 If you need SQL Server hosting in Europe, HostForLIFE.eu is the right choice for you. Back to the topic, It is common to pre-size the data file beforehand based on various recorded activities. Usually the DBA manually increases the data file size on a regular basis in a maintenance window which reduces the dependency on SQL Server auto growth. Although “Auto Growth” is reliable and a desirable mechanism, however a large growth causes performance issues. While data file growth kicks in, the target database will be locked during the expansion and the end-users suffer from time-out and inaccessibility issues. The database growth in the middle of business hour is not expected and not desirable. How do you manage a sudden or unexpected data file growth? <!--[if !supportLists]-->(b) <!--[endif]-->SQL Server Auto Growth: Depends on the SQL Server auto growth mechanism. 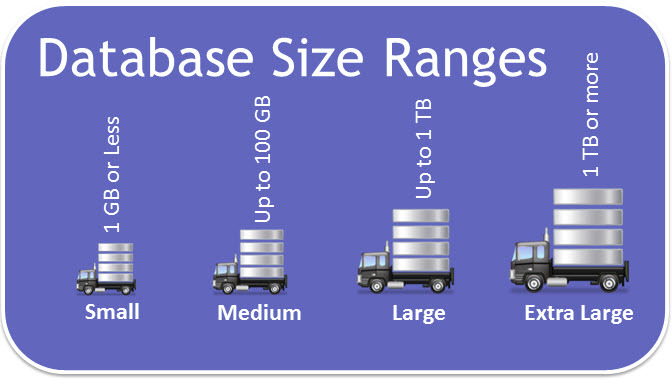 <!--[if !supportLists]-->(a) <!--[endif]-->Creating a large size database. <!--[if !supportLists]-->(b) <!--[endif]-->Restoring a backup in a staging server. <!--[if !supportLists]-->(c) <!--[endif]-->Performing massive ETL process. <!--[if !supportLists]-->(d) <!--[endif]-->Migrating data from one file to another file group. <!--[if !supportLists]-->(f) <!--[endif]-->ALTER the Database or adding file. Starting from Windows 2003, Microsoft introduced a new feature which is known as “instant file initialization”. 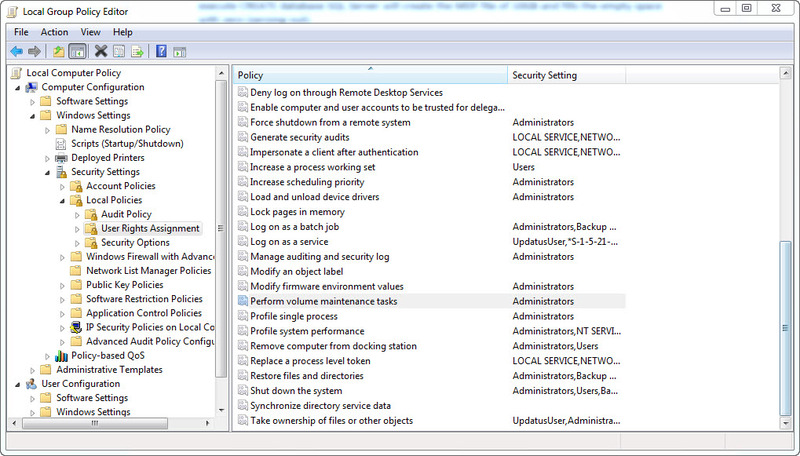 This is a Windows feature which can be applied to the SQL Server Service account in the “local security policy”. This OS feature can be utilized in SQL 2005 and upper version. Let’s explain what exactly it is. 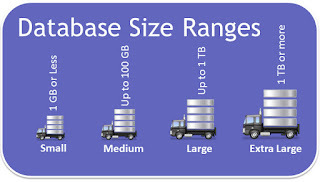 Say for example if you want to create a database of 10GB in size. When you execute CREATE database SQL Server will create the MDF file of 10GB and fills the empty space with zero (zeroing out). But if the “instant file initialization” right is enabled with SQL Server then the data files will be initialized instantaneously and without filling any empty spaces with zeros. Keep in mind that “instant file initialization” feature does not work on log file. 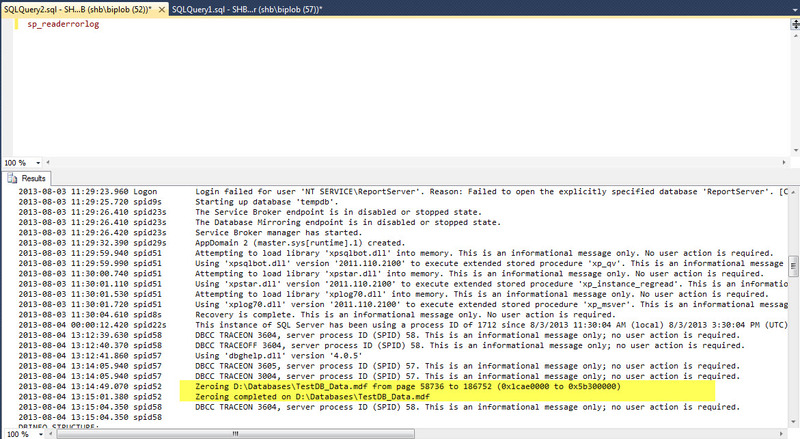 Once the right is assigned, restart the SQL Server Service to take effect. The Trace flag 3004 can be used to see the information in the SQL Server errorlog regarding instant file initialization. “Trace flag 3004” only shows information about backups and file creations and “Trace flag 3605” redirects the output to the SQL errorlog. Please note that the Trace flag 1806 is used to disable instant file initialization. 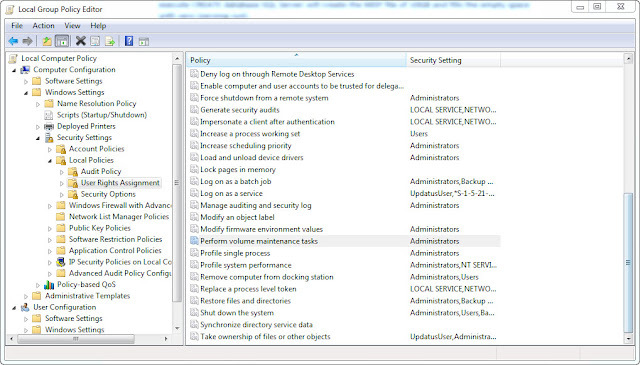 <!--[if !supportLists]-->(a) <!--[endif]-->Assign “Perform volume maintenance tasks” to SQL Server service account. <!--[if !supportLists]-->(b) <!--[endif]-->Make sure Trace flag 1805 is not enabled. <!--[if !supportLists]-->(c) <!--[endif]-->Try not to use percentage based data file growth, such as 10%. <!--[if !supportLists]-->(d) <!--[endif]-->Use smaller data file growth per increment, such as 100MB per increment. <!--[if !supportLists]-->(e) <!--[endif]-->Make sure the log file is reasonably pre-sized. <!--[if !supportLists]-->(f) <!--[endif]-->Do not create multiple transaction log files.